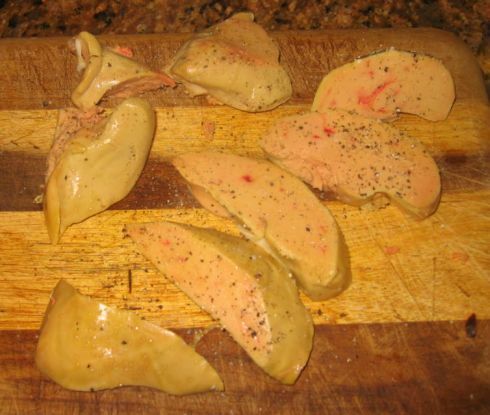 Foie Gras has an exquisite taste, silky texture, rich, buttery, and delicate all at the same time! Foie Gras will always be in my food repertoire because when something is this good, I should be a celebration so I would not dare to deprive myself of such pleasure in life, especially when we only have one life to live so we might as well enjoy it. 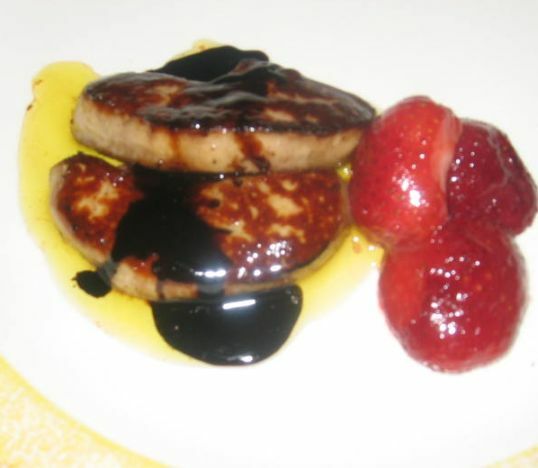 Pan Seared Foie Gras served with Balsamic reduction sauce, sautéed raspberries in sugar and butter and served with toasted bread. Close look at the Foie Gras! 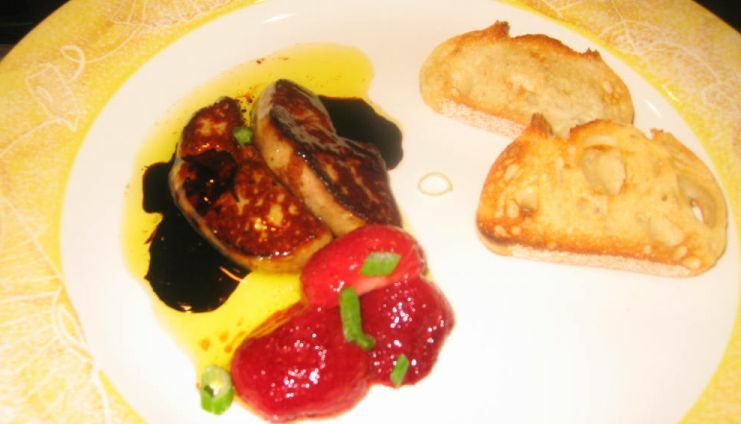 If you have never taste Foie Gras, I hope that these pictures will convince you to try it the next time you will eat out. Sine tonight I am serving for 3 people I only use half loaf of fresh Foie Gras. The loaf is sliced into thick pieces, and then seasoned with salt and peper. 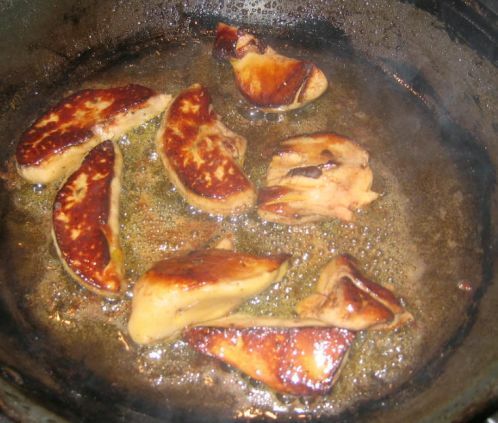 Putting a slices of Foie gras into an extremely hot pan so all the fat will burned out and leaving a nice burnt flavor on the foie Gras. 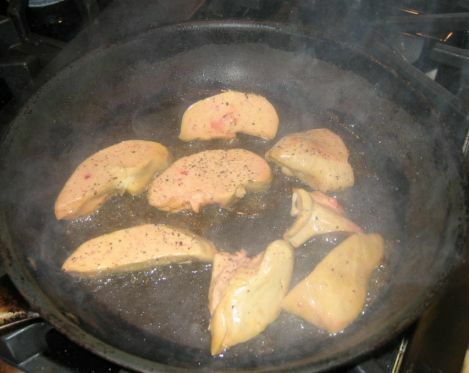 Searing the other side of the foie gras. 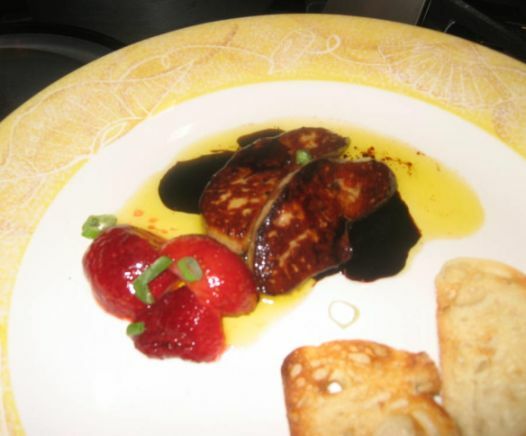 Noticed how the foie gras became nicely browned. Sautéing the fresh and ripe raspberries with sugar and butter. 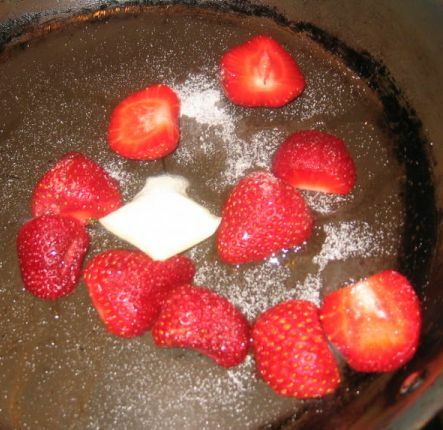 The sautéed raspberries will add a little acidity to the dish. 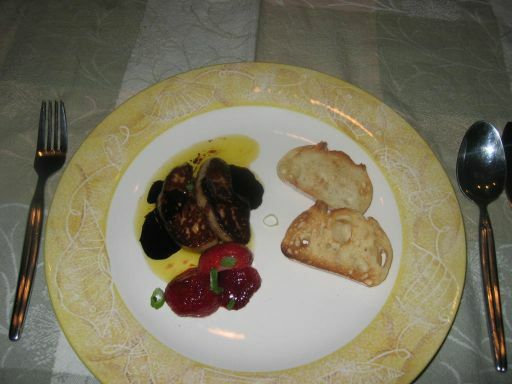 Plating my foie gras drizzled with a reduced balsamic sauce and served with sautéed raspberries and toasted bread.